Today I would like to talk about a very common human trait. A trait that if left unnoticed, could ruin your journey to success. 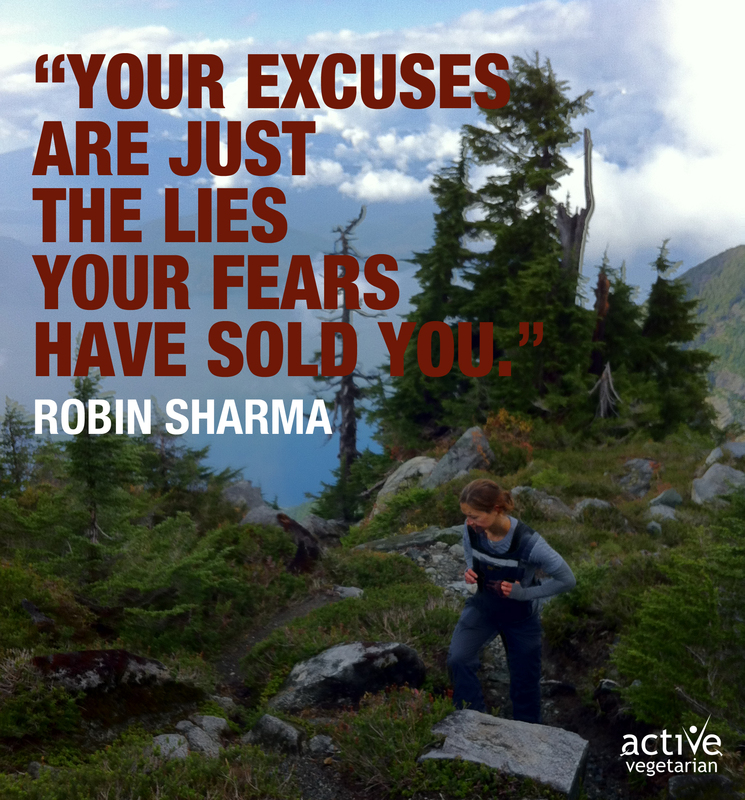 How often do you hear others or perhaps catch yourself making excuses? What are your excuses? We all have them …and we fall in love with them. I’ve been guilty of this and I’m sure you’ve probably been an offender at one time or another, yourself. But we need to stop. No one wants to hear them and no one gives a s**t.
It’s easy to hide behind our excuses and our delicious stories of why we haven’t achieved our goals yet. It keeps us away from the discomfort we must face along the road towards attaining our goal. In order to achieve anything worthwhile …we must experience discomfort. There’s no way around it. If you want to lose weight …you are going to experience hunger and the discomfort of hard work. You are going to have to make choices that aren’t convenient. If more muscle is what you’re after …you have to lift some heavyweights. You have to dedicate yourself to eating a diet high in protein and rich in nutrients. On the quest for optimal health …you are going to have to change habits that have been formed long ago. You may have to let go of friends who lead an unhealthy life in favor of more positive influences. None of this is comfortable. All of this is necessary. Identify your excuses. Once you realize what your limiting story is …and be honest with yourself, you will begin to realize how foolish it is. Seek out others who have succeeded in what you are attempting. Read biographies – watch motivational films – read blogs of those who have succeeded. You will always find challenges along the way, that I promise you. Repeat step 2 daily! Motivation is like food. Once you use the “energy” you ingest, you need more to keep you going. Once your excuse tries to creep back into your life and hold you back – it will be amusing. Like a child trying to get under your skin. You may even find yourself laughing internally at this pathetic, limited thinking trying to infect your efforts. Once you hit this point – You’ve effectively removed the excuse. Now get to work on the necessary step towards reaching your goals. And make sure you have FUN along the way. Attaining your goals should be a rewarding process – not just a means to an end!